Conference attendance improves to over 260. 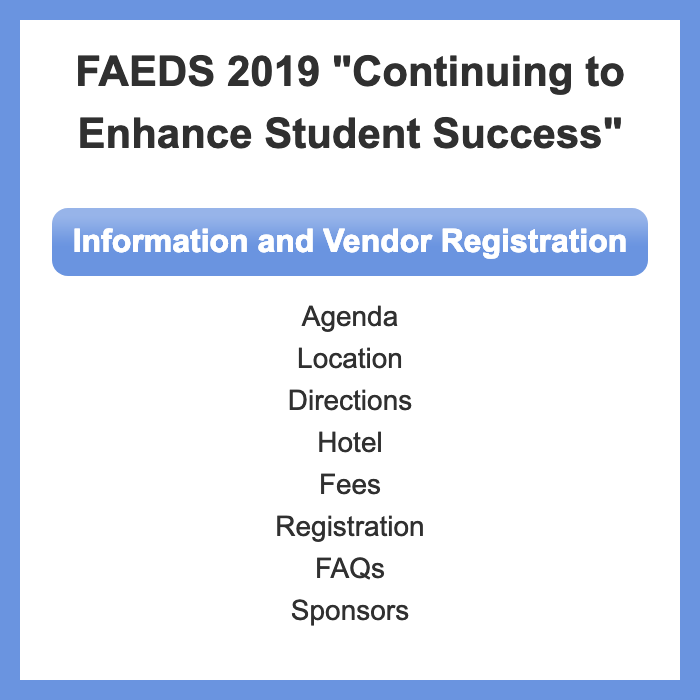 FAEDS distributed position papers – notable was the support paper for all school districts being provided the option of Internet services via the state level FIRN network, including centralized shared management, backup/recovery, user support, and security – at lower cost and assuring connectivity for all districts. Legislature was considering cutting FIRN.